Train Anywhere The Attack allows you to train in any location, even those areas where live fire is not possible. This can include a burn tower, acquired structure, or even your engine bay. Diversify Your Training The Attack allows you to place the seat of the fire in a new location each day you train, and even after every evolution. 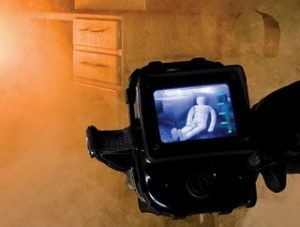 Turn any location into a burn room with BullEx’s Attack Digital Fire Training System. 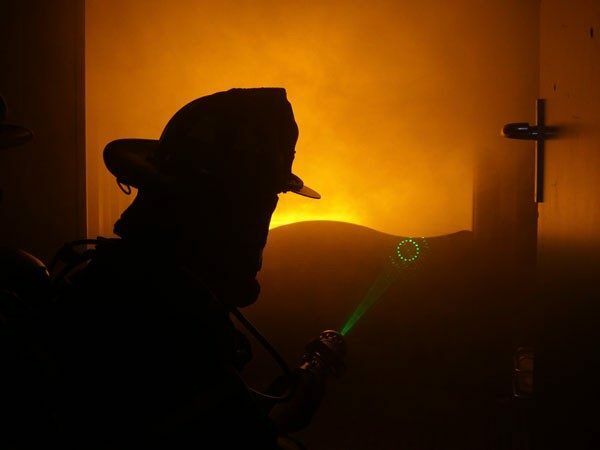 This new technology allows firefighters to train in countless locations and situations to diversify your training and ensure your trainees are prepared to handle any real fire situation. Create a seat of fire where live-fire isn’t an option, and create realistic fire conditions where the presence of fire is an important element, but fire suppression isn’t the primary objective. The Attack includes everything you’ll need for digital fire training. 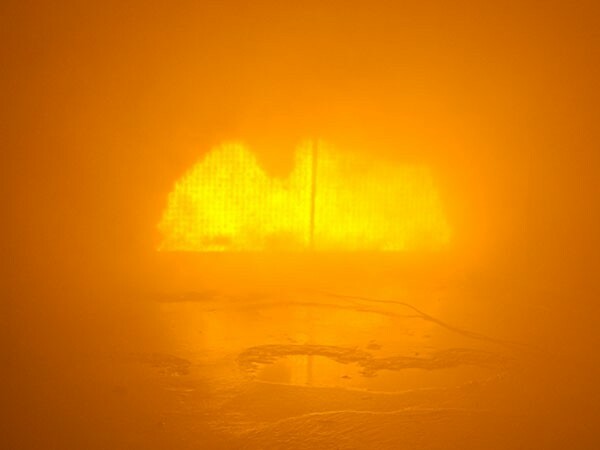 The waterproof panel uses five thermal sensors along with self-generating digital flames and sound effects to provide an interactive training experience. The system’s available smoke generation produces a smoky environment relative to the size of the fire. 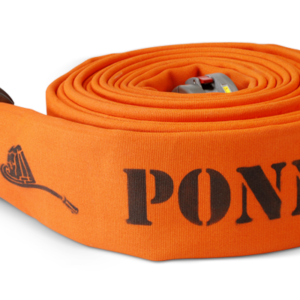 The system is tough enough to handle any hose line in your training arsenal. It enables instructors to run repeatable and variable evolutions with push-button start and stop. With the Attack your training is done when each firefighter has learned the skill, not when the fire is out of fuel. Fire Engineering’s Chief Bobby Halton and retired FDNY Captain Mike Dugan have each trained with the Attack. Train Anywhere The Attack allows you to train in any location, even those areas where live fire is not possible. This can include a burn tower, acquired structure, or even your engine bay. Diversify Your Training The Attack allows you to place the seat of the fire in a new location each day you train, and even after every evolution. 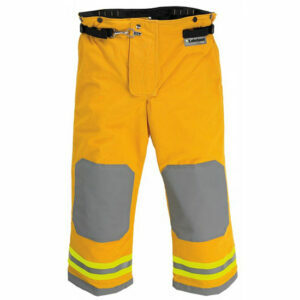 This continually challenges trainees and helps them be better prepared for live burn training and real fire situations. Realistic Training The Attack simulates accurate fire growth and behavior. Thermal sensors detect where water from a hose line hits the panel and varies the flames in response. Dynamic smoke generation is tied to the size of the fire and time since ignition. Recreate fire extension with the use of multiple panels. Easy to Set Up and Break Down The Attack can be set up in about 5 minutes, giving you more time to train. Break down is just as quick. Set-up The portable panel includes a weighted base with a refillable tank that holds 400 lbs of water to keep the panel stable and upright during your most intense training scenarios. The tank collapses for easy storage and transportation. The panel is outfitted with a carrying strap for portability or can be wall-mounted in your facility. Realistic Fire Growth Fire growth and Smoke Conditions are based on fire research data provided by nationally recognized labs. Smoke output is tied to the size of the fire and the time since ignition. Once the fire is started it will grow and extend to additional panels while producing realistic volumes of smoke. The system can also be controlled manually throughout the evolution with the Industrial Remote. Hose Line Detection The system includes a waterproof panel that features thermal sensors. These sensors detect the application of water or other extinguishing agents and vary the digital flames in response. 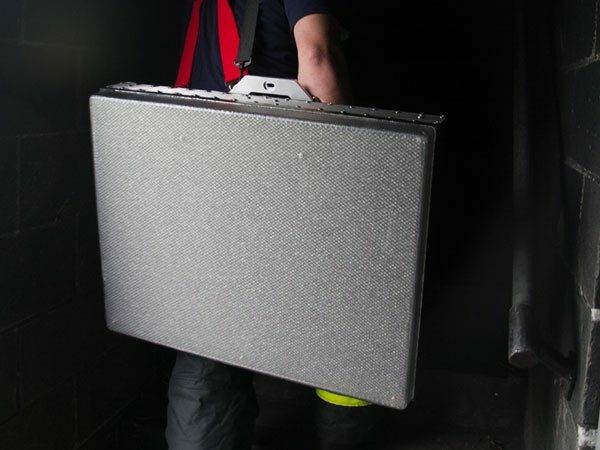 The system also features sound effects and available smoke generation that react dynamically to the trainee’s actions for a true-to-life experience. Steam Conversion Technology™ recreates the low visibility conditions present when water is first applied to an actual fire. Remote Control The set-up remote controls the class and difficulty of the fire. Smoke production, flame flare up, and volume settings can also be controlled manually if desired. The remote provides an easy way to start and stop evolutions. The waterproof Industrial Remote is designed for use with gloved hands and can be clipped to turnout gear or clothing for easy access. 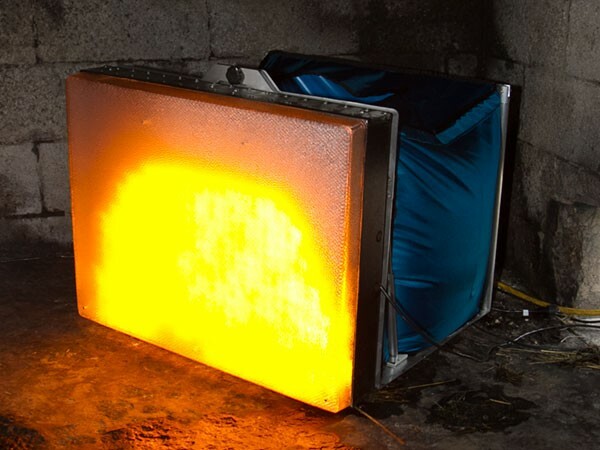 Fire Extension Your training can consist of one or multiple Attack panels that connect wirelessly to create fire extension scenarios. Create a larger seat of fire as well as scenarios where fire has extended into adjacent rooms or to the floor above. Wireless connectivity means you can create scenarios such as balloon-frame building fires where basement fires extend into the attic. Customize the fire conditions to meet your specific objectives to your choosing. Integrated Smoke Generation The Attack is available with a BullEx SG4000 Smoke Generator capable of producing over 4,000 cubic feet of smoke per minute. The SG4000 is housed in a water and shock resistant case which also houses a GFCI power supply and a repeater station to extend the range of add-on panels and the Industrial Remote. 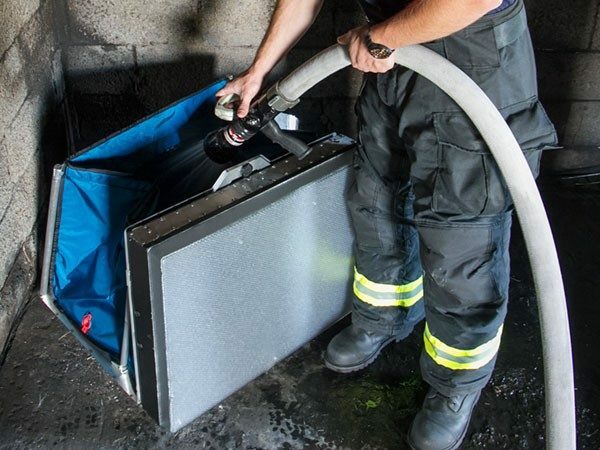 Portability The system can be set up or packed-up in less than five minutes and can be easily transported or shipped to multiple training locations. Create basic or intense fire scenarios with extension where live fire isn’t possible. Use the ATTACK to train on fundamentals so you can make the most of live-fire burns. 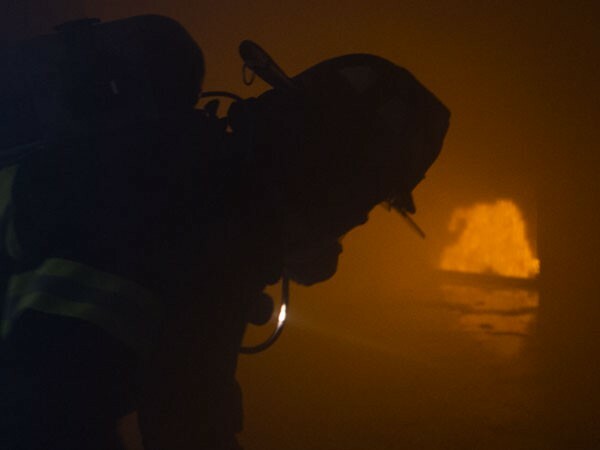 Introduce new firefighters to fire and smoke conditions in a safe environment. Change the location and characteristics of the fire between evolutions and prevent training from becoming too predictable. Simulate fire conditions where getting water on the fire isn’t the primary objective but the size and location of the fire is still an important element. Add more realism to drills such as Vent Enter Search, RIT Operations, Search and Rescue. 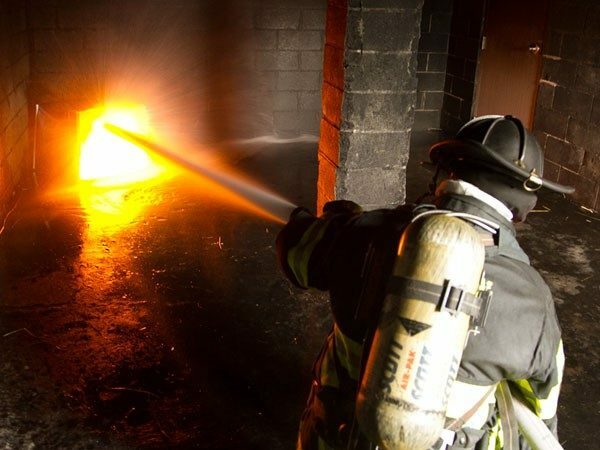 Challenge trainees to maintain situational awareness, identify the location of the fire and if not extinguish, confine the fire while other critical operations take place. Industrial Remote This waterproof remote allows the instructor to be present during the evolution without worrying about damaging the controls. Wall Mounting Brackets Affix the Attack panel to any wall in your training facility. 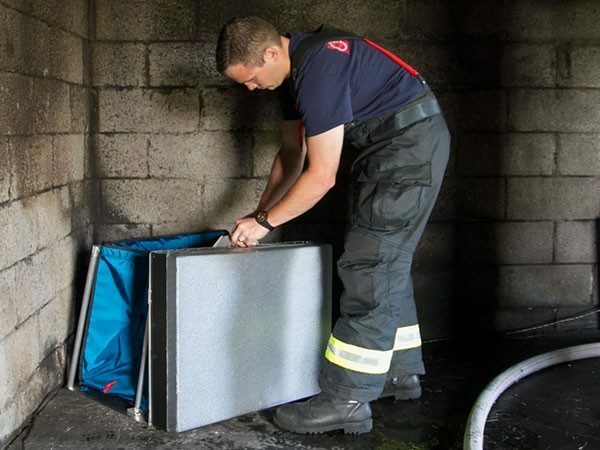 Smoke Generator Case Protect the smoke generator from water while training. Transport Case for ATTACK Digital Panel Store the panel in a this case for safe and easy transport. Transport Bag for Weighted Base Keep the weighted base in this bag when not in use. In 2011 leading hands-on training instructors approached BullEx with two problems to solve. 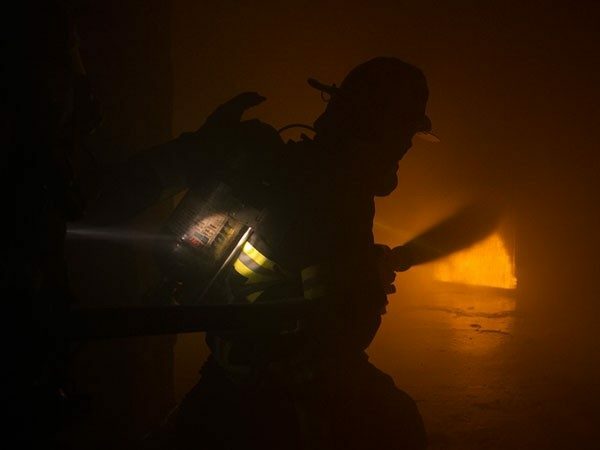 They were in search of a device that would allow them to train in their many acquired structures and old burn buildings across the city of Indianapolis where live-fire wasn’t an option. 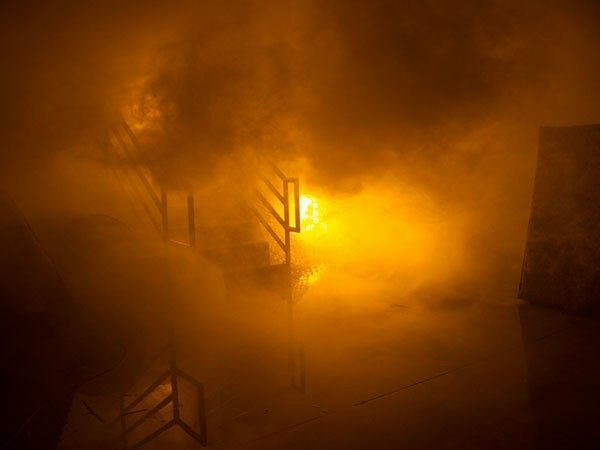 They also needed a good way to create realistic but non-hazardous fire conditions for drills where the presence of fire is an important element, but fire suppression isn’t the primary objective. BullEx developed the Attack to meet these needs. These instructors provided hands-on training to hundreds of firefighters each year. They needed a way to make sure each trainee was able to complete the evolution, which was difficult when using class A materials. The Attack has been tested for the past two years at leading conferences around the country. During these evolutions, BullEx gathered feedback from the trainees and instructors to make the product as effective and user-friendly as possible. Additionally, the Attack’s fire growth and smoke conditions are based on fire research data provided by nationally recognized labs. The result of our years of development and collaboration is the Attack Digital Fire Training System that is available today. 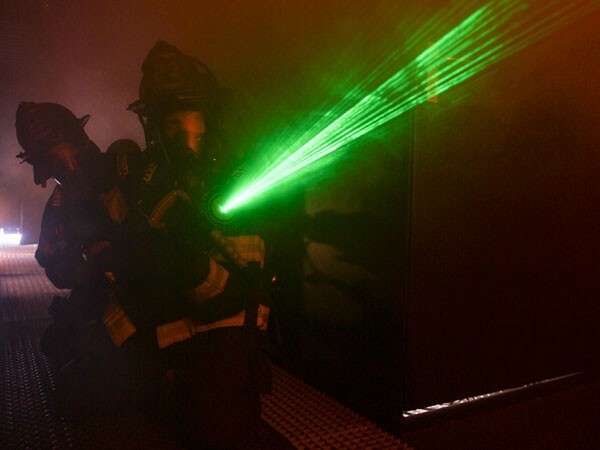 Expand your training opportunities to new levels by using the Attack in conjunction with The Digital Nozzle and Weighted Hose Line. 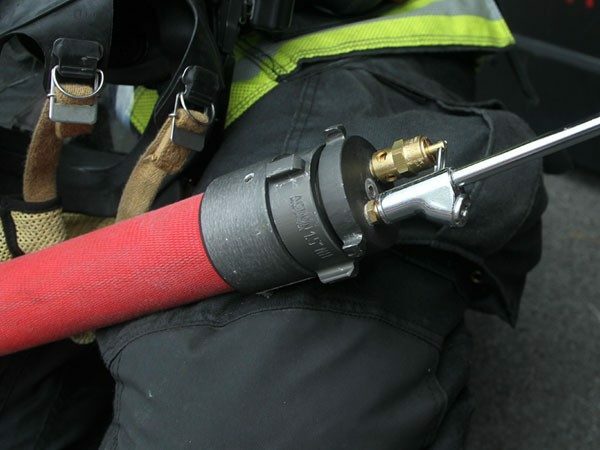 The Digital Nozzle and Weighted Hose Line allows you to conduct training evolutions where flowing water isn’t possible. 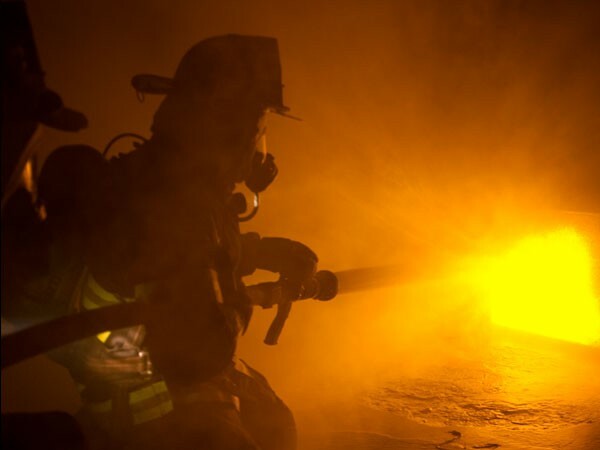 Conduct training in acquired structures, high-risk buildings, and anywhere else you’d like to simulate a fire attack without compromising the building. 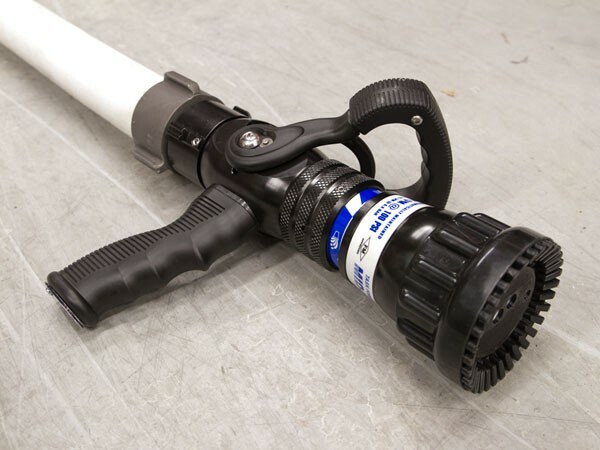 BullEx Digital Nozzles are made using actual fire hose nozzles. 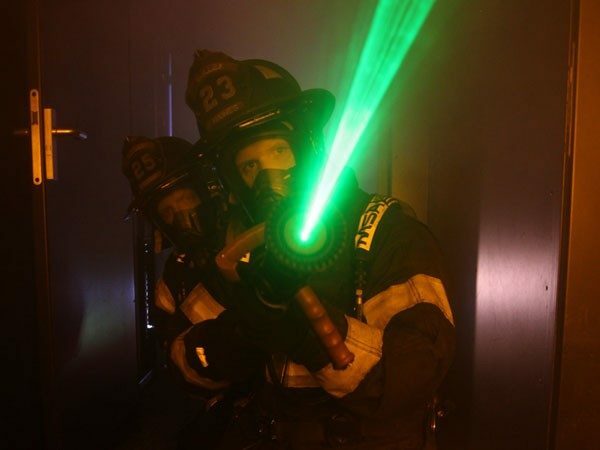 The nozzles are equipped with infrared lasers, which interact with the Attack’s self generating digital flames. 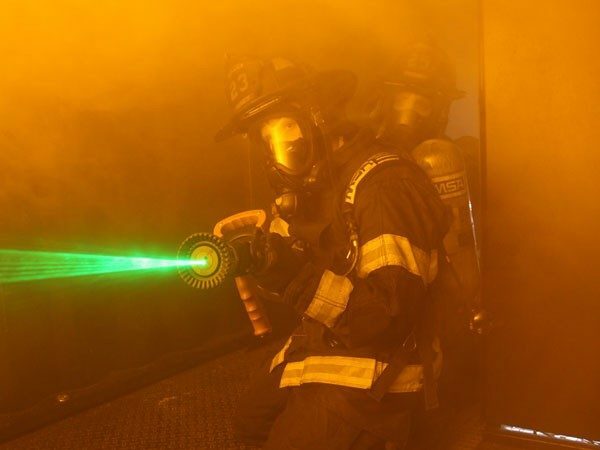 When in laser mode, the Attack’s fire will only be knocked down if the trainee uses proper hose line technique. Train in hospitals, schools, nursing homes, large manufacturing sites, or any other place where flowing water isn’t permitted. Bring your firefighters to the very places they are tasked with protecting. Spend more time training and less time setting up, stretching and repacking hose. Conduct hands-on training in acquired structures without the prep time that live burns require and without damaging the structure. Train on hose line advancement without taking an engine out of service. Prepare your firefighters for a wide range of emergency situations by exposing them to an infinite number of training sites. Challenge veteran firefighters who have your training tower memorized. 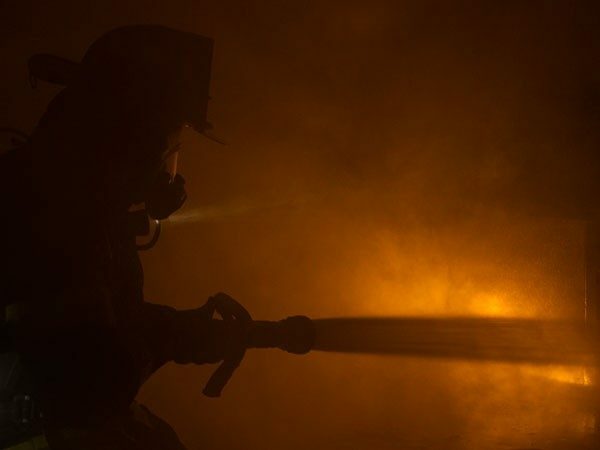 Focus on fundamentals by teaching new trainees the fundamentals of hand line advancement technique before moving on to flowing water and live flames.